COLUMBUS Jane M. Steffenhagen passed away on Saturday, May 9, 2009 at her home. She was born to Warren and Maude (Schemmel) Lee in Milwaukee. She graduated from Cambria High School in Cambria. She was a member of the First Presbyterian Church in Cambria, and later Faith Lutheran Church in Columbus. Jane was married to Robert Behling in 1947 in Cambria. She was a lifetime member of The Order of the Eastern Star, and a 25-year member of WDV-German Shepherd Club of America. Jane was a breeder of fine German Shepherd dogs and maintained a kennel in Germany for over 17 years. She was the first American to Breed-Own-Train and Show a dog to the Select Female division at the World Show in Germany. She had many champion German Shepherds in the United States at the top all German Shepherd dog shows. She bred, owned, and showed many World and Regional Champions in the Morgan Horse breed. Jane received a Masters Certificate from the American Morgan Horse Association in 1999, and was awarded Morgan Breeder of the Year in 2004 by the American Morgan Horse Association. She was inducted into the Jubilee Hall of Fame in 2006. 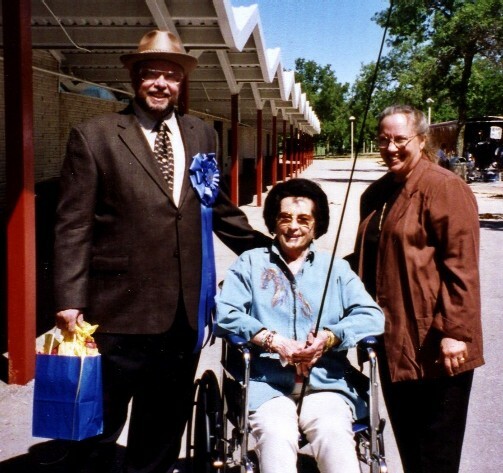 She served on the Wisconsin Horse Association board as Point System Chairman for 8 years during the 1950s and 1960s. She was instrumental in getting her special breed, the Morgan horse, established in the Wisconsin Horse Show circuit. Jane was a correspondent to the Morgan Magazine for the Mid-America Morgan Club, correspondent for the German Shepherd Quarterly and editor of Your Pony and Horse Show. She managed cropland in Montana and Wisconsin. She loved gardening and all forms of nature. She loved both her children and was a great armchair general for both of them. Jane was a good person and restrained herself from doing many things that might have put her in jail. She loved fast cars, good horses, loyal dogs, her children, and her private time. Survivors include her daughter, Jacquelyn Lee (William) Sweeney of Mt. Horeb; her son, Robert Lee Behling of Washoe Valley, NV; her former husband, Robert V. Behling of Beaver Dam; a special cousin, Roger Buchanan of Colorado; a special friend, Carmen Barreras; other relatives and friends. She was preceded in death by her parents, and second husband, Roy Steffenhagen.